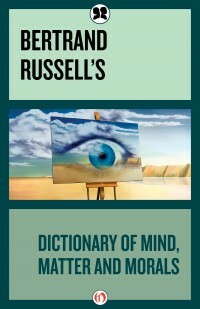 This dictionary contains more than 1000 selections from over 100 of Russell’s books and articles. It serves as an introduction to Russell’s brilliance in analysis, argument, and exposition which develops a clear notion of his method of approach, his fundamental principles and many of his leading ideas. Found here are definitions and terms reflected in the topics of mind, matter and morals.